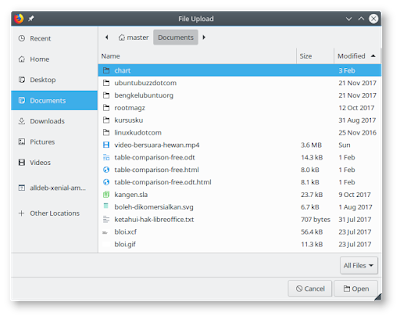 Master the file manager of Kubuntu. 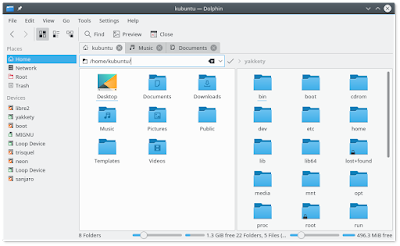 Like everyone using Windows masters Explorer, then in using Kubuntu, you should master Dolphin. 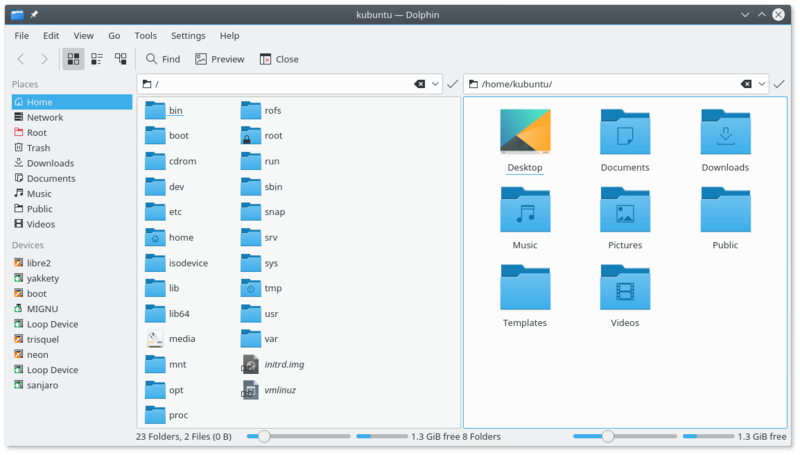 This 4th article explains the Kubuntu file manager to enable you find your files & folders, opening files, sorting and grouping by type, and finally accessing partitions and drives you have. 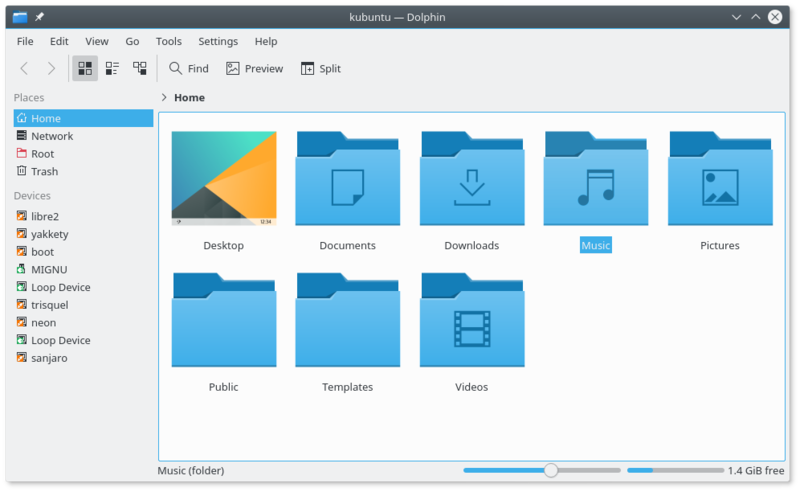 Read also Part 1, Part 2, and Part 3 of this series of Kubuntu 17.10 guide. Dolphin here is not a funny sea animal, but your file manager at Kubuntu. It is the place to access your files, folders, and disk drives. 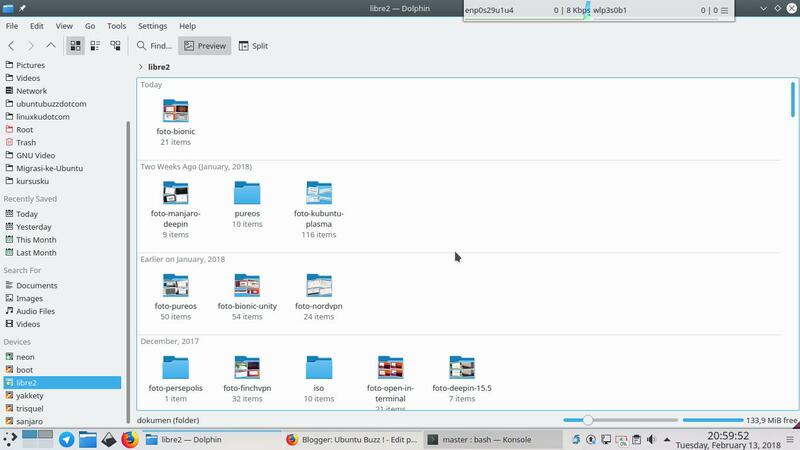 It looks like Explorer on Windows and Finder on macOS. 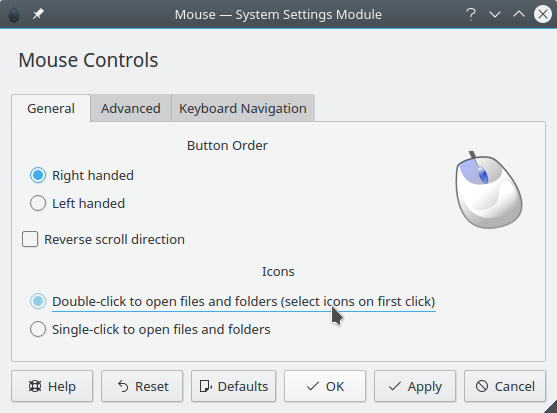 Default behavior of Kubuntu is single-click to open, which is strange if you come from Windows. 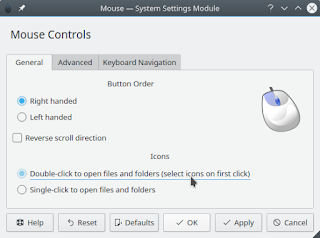 You can change this back to double-click by opening menu > System Settings > Mouse > select Double-click rather than Single-click > OK.
You can find your file manager by running blue folder icon at menu, at panel, or at desktop. That is Dolphin. 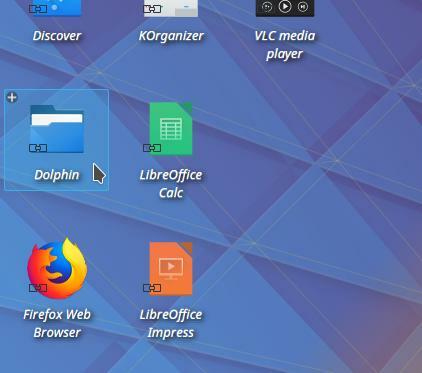 At first time, you single click (not double) to open a folder or a file. Everyone understands this is not comfortable for many users so you can change the click setting first (see above). After you change it, double click to open folder or a file. Press Ctrl+M to show menu bar permanently. Where is My Address Bar? Press Ctrl+L to show address bar up. Press Esc to hide it again. 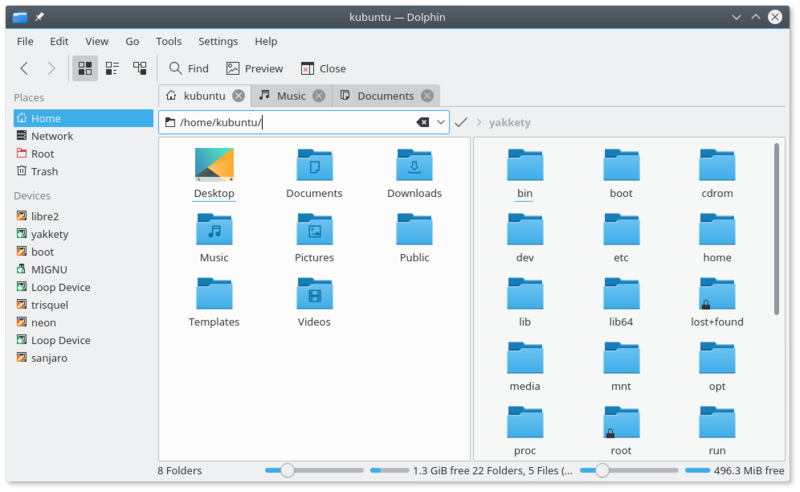 You partitions are shown at bottom-left below the 'Devices' label. See picture below, from neon to sanjaro are all disk partitions. However, you system partition is located inside / where your Home folder is inside /home. To know them both, see both folders at same time like below. Where is My USB Flash Disk? 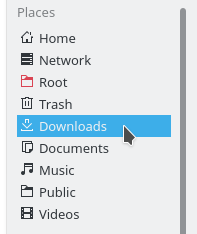 Plug your drive in and see its name below the 'Devices' label. See picture below, the MIGNU is the USB drive. Where is My Recycle Bin? 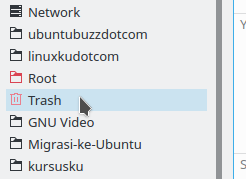 See the Trash icon in red color? That is the recycle bin. The navigations are the same. You click to select, double-click to open, Ctrl+C to copy, Ctrl+V to paste, Del to trash, Shift+Del to permanently delete, drag-and-drop to move, and so on. 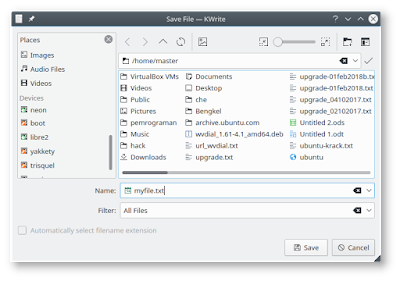 To multiple select files, hold Ctrl, then click on files you want one by one. To open address bar, press Ctrl+L. 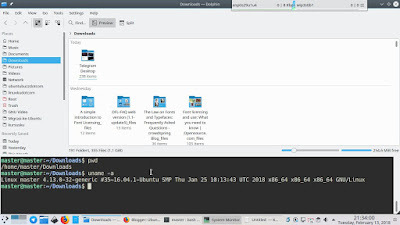 To split window, press F3. To open in new tab, press Ctrl+T. To search for files, press Ctrl+F. To show only certain files among many, press Ctrl+I. You can combine Ctrl+F and Ctrl+I as you wish to speed up your search! 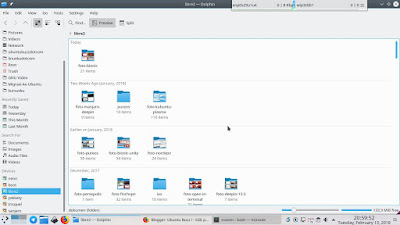 Go to menu View > Sort by > select Modified > go there again > activate Descending. 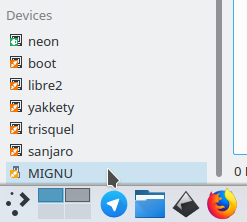 Go to menu View > Show in Groups. 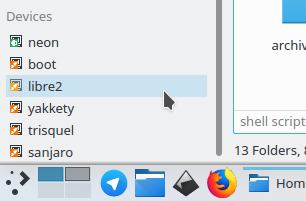 Right-click > select 'Add to Places' on any folder and you find it at right panel. Do it for your frequently opened ones such as Videos, Documents, etc. Wow, Terminal inside the File Manager! 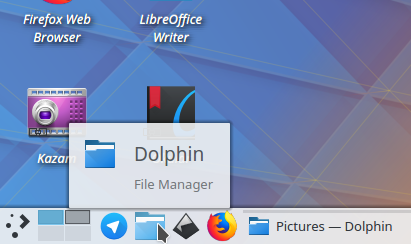 Press F4 to open up Konsole inside Dolphin. It's automatically located to the directory address you are in. 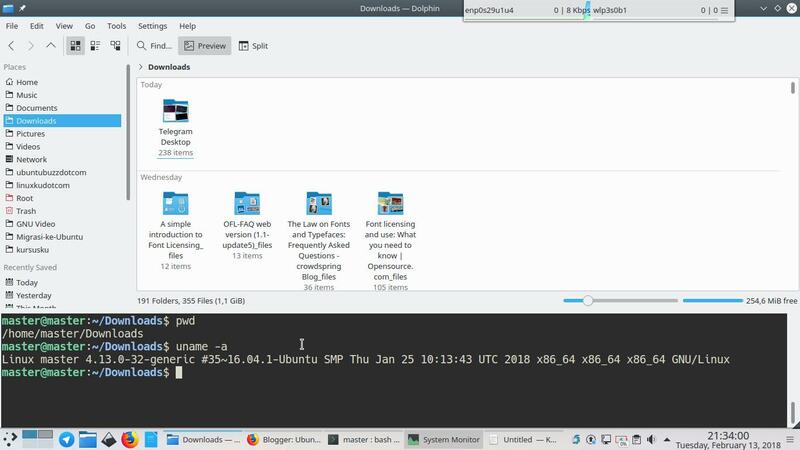 It's a clever feature similar to "Open In Terminal". Press F4 once again to hide it.